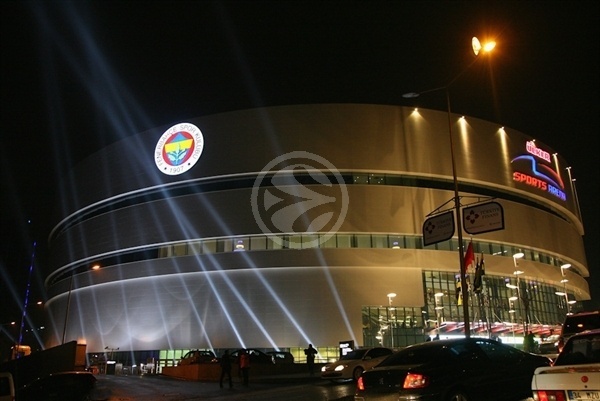 Fenerbahce Ulker took a narrow lead into the fourth quarter and held on to beat EA7 Emporio Milan 65-63 in the opening game of Ulker Sports Arena in Istanbul on Wednesday. The hosts earned a critical first victory in Group G, while Milan dropped to 0-2. Bojan Bogdanovic scored 17 points for the winners, while Roko Ukic returned from injury to score 16 and Marko Tomas added 8. Kaya Peker contributed 6 points, along with 10 rebounds and 2 steals. Antonis Fotsis and Mason Rocca paced Armani with 16 points apiece, while Stefano Mancinelli added 13 and Drew Nicholas 9. Omar Cook dished out 8 assists. 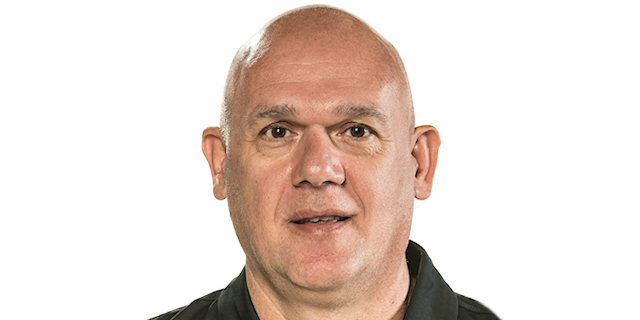 Milan had the chance to tie or take the lead in the final seconds, but Fotsis missed a three-point attempt. Statistically, Milan made a higher percentage of shots from the field but not from the foul line, which proved critical, as it hit only 9 of 18, while Fenerbahce made 15 of 21. 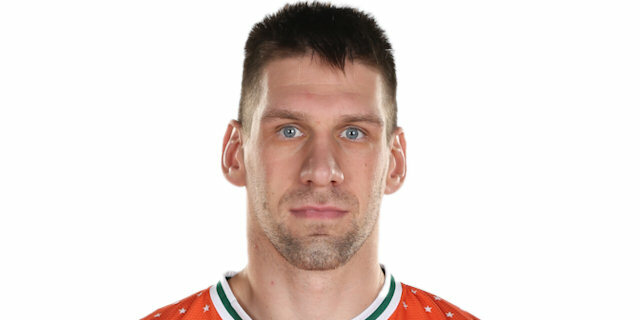 An exchange of two-pointers provided all the scoring in the first three minutes, as Fenerbahce’s Tomas hit a two-pointer from outside and Mancinelli tied the game 2-2 with a spin move under basket. Both offenses continued to struggle as the score moved to 6-6 after another layup by Mancinelli. Ukic and Alessandro Gentile swapped baskets in the paint, then foul shots by Omer Onan and Bogdanovic gave the hosts a 12-10 edge at the end of a low-scoring first quarter. Nicholas drained the game’s first three-pointer, giving Milan a 12-13 lead to open the second quarter. Bogdanovic wasted no time answering with a triple of his own, then added a layup and foul shot to keep Fenerbahce out front 18-15. Ioannis Bourousis got into the scoring column with a laser from downtown, knotting the game at 18-18. Afer Oguz Savas converted a layup and foul shot, Mason Rocca got a put back on the offensive glass to advance the score to 21-20. A seesaw battle developed as Nicholas knocked down another triple, shifting the lead to Milan 21-23. Scoring resumed in the paint, with Sava leading the hosts, while the visitors got baskets from Rocca and Fotsis, setting the score at 25-27. After an exchange of foul shots, Ukic nailed a triple to give Fenerbahce a 30-28 halftime lead. Tomas started things off with a two-pointer, giving the hosts a 32-28 margin, the biggest of the game. After a Mancinellli foul shot, Ukic hit a two-point jumper, bumping the lead to 34-29. A fast-break layup by Mancinellli and a triple by Fotsis knotted the game at 34-34. The teams exchanged baskets then the hosts took off on a 6-0 surge, as Peker hit a rainbow two-pointer, Ukic banked in a running two-pointer and Bogdanovic finished off a fast break with a dunk to give the hosts a 42-36 edge. Fotsis answered 4 points from the line with a layup, then Nicholas stepped back to bury a triple to end scoring for the quarter and cut the lead to 46-43. Rocca opened with a basket in the paint, then Bogdanovic drilled a triple to put Fenerbahce out front 49-45. After a Mancinelli layup, Emir Preldzic and Peker added points in the paint for a 53-47 margin. Fotsis drained a triple, then Peker scored down low and Preldzic added another triple of his own to push the hosts out front 58-50. Ukic answered foul shots by Mancinellli by draining a fall away two-pointer for a 60-52 advantage. Fotsis stepped up again, sinking a three-pointer, then Rocca hit a foul shot to cut the deficit to 60-56. After two foul shots by Tomas, Rocca banked in a layup, setting the score at 62-58. But Ukic added two in the paint to put the hosts out front 64-58 with 1:23 to go. The scoring was limited to the foul line until Omar Cook hit from beyond the arc to pull with 65-63 with 28 seconds to go. Fenerbahce failed to score, giving Milan a last crack with 3 seconds left: Fotsis got a clear look from three-point range but it banged off the rim, giving the hosts the win, 65-63. "It was a historic day for our club. We played our very first match in our new arena. Many thanks to our sponsor Ulker and our president Mr.Aziz Yıldırım for making it real. Of course, when you have a world class arena like this, the pressure becomes higher. Fenerbahce Ulker must play good and reach the top of the number one competition of Europe, the Turkish Airlines Euroleague. I congratulate my team for the win. We won, but we didn’t play the basketball we desired to play. I don’t understand why my players have so much pressure when we play at home. We only managed to shoot 25% from the three-point line and only had 7 assists in 40 minutes. 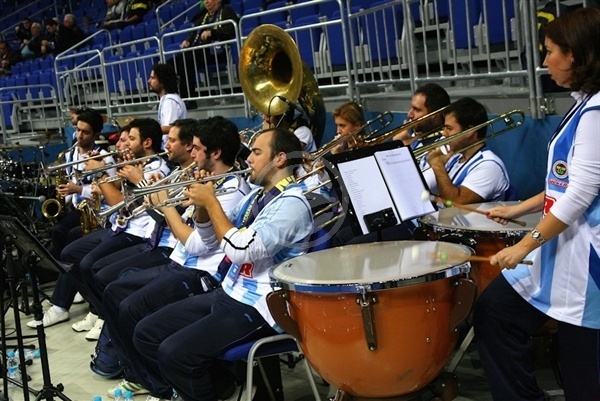 Our real game was the first half of the game against Unics Kazan. And this is what we intend to play the whole season." "Congratulations to Fenerbahce Ulker for their win. First of all, it was a surprise for me to see Roko Ukic that quick, playing after his long injury. He really came back strong and played the key role for their win. We also played well concerning to our limited rotation. We missed too many free throws and unfortunately that was the main reason we lost the game. 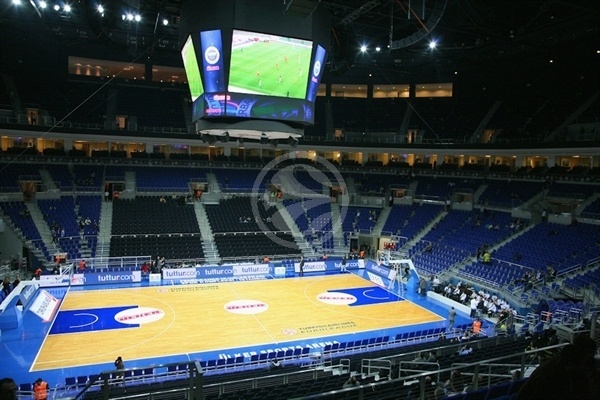 Fenerbahce Ulker’s new arena is really exciting. It’s an impressive one for a big city like Istanbul. " "It was a great pleasure and honor for us to win our first game in our new arena. Of course it means a lot to win this game for the motivation of our next games. We were really good in defense but I cannot say the same for our offense. We were not creative enough in offense. But anyway, winning is always good."